Narada Muni came to the palace of Pracinabarhisat and he knew he was a big king. Now kings… cultured, respectful. Certainly, if Narada Muni would have just preached to him, “King you are in illusion, you are in maya, you are too much attached to this body, to your frutitive activities and to all the sense gratification connected to it,” what would the king have done? Probably he would have very patiently and respectfully listened, but his heart would have been shut close-tight. Because, as soon as the person is defensive, it’s very hard to… you may conquer with logic, intelligence, but you really (can’t) penetrate his heart. So Narada Muni was a very practical and expert preacher. He wanted to go to the core of this king’s heart and transform him. And he (Narada Muni) revealed how he (Puranjana) was attached to his body, how he was attached to fruitive activities, how he was attached to religiosity without real realization of God or the soul, and what the results are going to be: just so much of the torment of attraction, attachment, aversion, and then death comes. And what a horrible painful death is his… and he listened to every word so carefully… he was transformed. And towards the end of the story, he realizes, “You are talking about me!” But the medicine was already injected. 13 Responses to "Narada Muni’s outreach program"
How true! Thanks to Krishna for He sent maharaj for us. 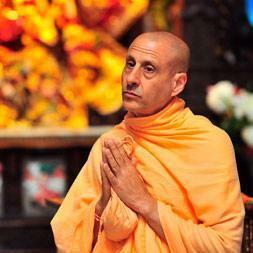 Wonderful glorification of Narad Muni by HH Radhanath Swami Maharaj! True. 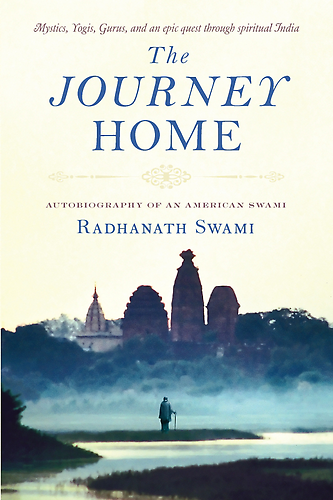 Thanks Radha Nath Swami Maharaj. “And that is really a expert preacher: the person who can take the essence of Bhagavad Gita, Srimad Bhagvatam, and present it in such a way that that medicine is, that nutrition is digested by the candidate.” – perfect !! Perfect. 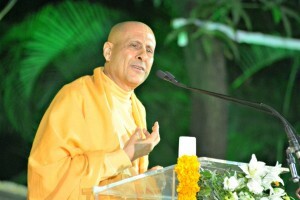 Radhanath Swami captures the essence how message of Lord Krishna should be shared with others. Narad Muni is a great preacher. Thank you very much. True! It’s very difficult to preach to people when they are on the defensive. It takes an expert preacher to transform the harts of people with indirect preaching! There is a very deep instruction in these words spoken by HH Radhanath Swami. It’s better for us to be ready to hear from superiors with an open heart otherwise we end up wasting lots of time and also the superiors need to spend some additional energy in order to make us understand the point. That is great. Really wonderful story for Narada Muni. Yes we have many examples apart from this one where Narada Muni has transformed hearts of the many people. That is a real roll of a true teacher. Depends on time, place and circumstances, preacher has to decide what is best of his student or disciple and just for his/her benefit he recommends the process without any material desire or any other attachment. A very apt and precise comment. Thank you.